We know that gender diversity (let alone diversity in general) makes good business sense – huge bodies of evidence exist demonstrating that when we have more women in workplaces, organisations have greater economic growth and improved organisational, financial and market performance. Yet we are also told by the World Economic Forum that it will be a very long 117 years before we achieve true gender equality. I was raised around the construction industry. I worked for my Dad’s road construction company during my school and university holidays, and after I graduated I worked on research projects in the logging industry. I then joined a consulting company that delivered large-scale safety cognitive-behavioural culture programs (underpinned with psychology and brain science) to the mining, construction and heavy industries globally. I was often the only female on the entire site, and even more frequently the only female in meetings. Any challenges I had with this were primarily the result of being treated like what I can only call a child. I often found myself being ‘protected’ by clients (with the best of intentions I confess); clients and colleagues alike at times seemingly needing to protect me from ‘aggressive’ and ‘rude’ behaviour, or even pre-framing my work in the room with ‘be nice to this young lady’. Though I felt capable, competent and confident in sharing information and discussions, let alone managing these kinds of behaviours when they were evident, many people who were older, primarily male, were often unconsciously not setting me up for success, certainly not as the specialist in my field. There are many examples of these kinds of unconscious biases and hindering behaviours (and I know of many more covert and overt examples of undermining females, including blatant harassment and discrimination), many of which can be directed towards women in male dominated workforces. While unconscious thinking, stereotypes and biases are our everyday life as humans, there are a number of unconscious biases specifically related to gender in organisations that have systematically negative effects on women. We are more likely to use unconscious thinking processes at certain times, and workplaces often provide many of these conditions for unconscious thinking to occur: having to divide our attention across multiple tasks at once, having to make rapid judgements and decisions, and carrying out routine tasks. 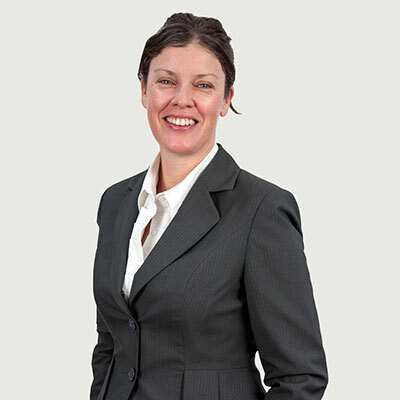 The Committee for Economic Development of Australia published a report titled Women in Leadership: Understanding the Gender Gap in which Dr Jennifer Whelan notes that there are a number of reasons why unconscious bias and stereotyping present issues for business, and that there are three key phenomena that primarily present challenges to gender equality in organisations. Firstly, ‘think manager, think male’ gender stereotyping has negative consequences for women in organisations generally, and particularly in terms of the number of women in senior or leadership roles. Masculine leadership behaviours are heavily weighted towards our view of what a leader should be like. Because our biases are frequently unconscious, processes like candidate search, selection, advancement and remuneration can be skewed against women despite equal opportunity policies and practices. ‘Backlash’ talks to how people are more likely to react negatively when they encounter others who do not fit their stereotypical expectations. In the case of gender, people prefer women to behave like stereotypical women, and men to behave like stereotypical men. When women display traits or behaviours that are more stereotypically masculine, they are likely to be penalised and evaluated more negatively – that is, experience backlash from others. Likewise for men who display stereotypically feminine traits. However, backlash affects women in organisations far more than it does men, because women more closely associate leadership with masculine traits. Male-dominated cultures can experience an ‘impossible dilemma’, that is if they do not behave assertively they cannot demonstrate leadership competence, but if they do behave assertively, they are considered less promotable. Finally, ‘stereotype threat’ is a phenomenon where we become aware of others’ stereotypes about us and as a result we are more likely to conform to them and behave in accordance with others’ expectations. Research shows, for instance, that women perform worse on mathematical tasks when gender stereotypes about maths competence are mentioned prior. So being made aware that, by virtue of her gender, a woman should perform worse at some tasks than her male counterparts can contribute to poorer performance. It is simply an awareness of the stereotype that influences the outcome, not actual inferior competence in a task. The Gender Equality Project found that women’s fit, functioning and growth within the workplace comes down to some quite specific protective and risk factors (these are likely to be similar for males in some instance, the research was focused on women only). Two of the protective factors in particular included job network and support, and other women working in the area, amongst others. This is the main reason why Women & Leadership Australia (WLA) has ‘female only’ leadership development programs and events. If women work in predominantly male workforces, they are not likely to consistently interact with other women working in their area, and very often don't have a female network or support within the workplace. This is also the case the higher up a hierarchy we go, where there can be even fewer females in leadership and executive level roles. WLA has set up a networking group on LinkedIn called Professional Women’s Network Australia/NZ, where women have the opportunity to support each other, collaborate on ideas and share strategies for career advancement. We encourage readers to join this group. Gender equality is not just a ‘women’s problem’ for us to deal with alone. Yet the reality is we have some way to go and there are some things we can do as individuals, for our own fit, function and growth within our workplaces. One statement that often comes to mind is something a previous colleague once said to me: “you educate people in how to treat you through setting your expectations and boundaries.” Be clear on what you accept and don’t accept, particularly when it comes to your own goals and ideals.